Malene Binau Bonnor, 23, and Carrie Shak, 34, hit it off right away three years ago. They met at a family party and felt instantly like old friends. They shared stories, laughed and hardly noticed that anyone else was there. They spent the rest of their night this way, total enamored. In fact, they were so distracted by each other that Carrie missed her flight to Chicago the next morning. “Three years later and that 'goo-goo gaga' love-lust feeling hasn't even started to disappear,” said Carrie. However, it wasn’t always that easy for the couple. A month after meeting, the two were separated. Malene had to return to her birthplace, Denmark, to undergo and recover from surgery. The two spent this time to get to know each other via Skype. “Since we couldn't be together, we were more focused on communicating, connecting and getting to know each other,” Malene remembers. Two and half long months went by and then they were reunited. They hadn’t decided whether they had found a beautiful friendship or something much more, yet. Carrie decided to take Malene to Daytona Beach, the spot where they would later become engaged. Their connection was even stronger than they realized and they return to the same hotel every year on the anniversary of that weekend. They consider Daytona Beach the place where they realized their love. Two years later at that same spot on Daytona Beach, Carrie proposed to Malene. They set a date for March 14, 2015, and will share their commitment with 80 close friends and family on North Redington Beach. They had anticipated doing the “legal” part in another state, but were happy when Florida law lifted the ban on marriage. 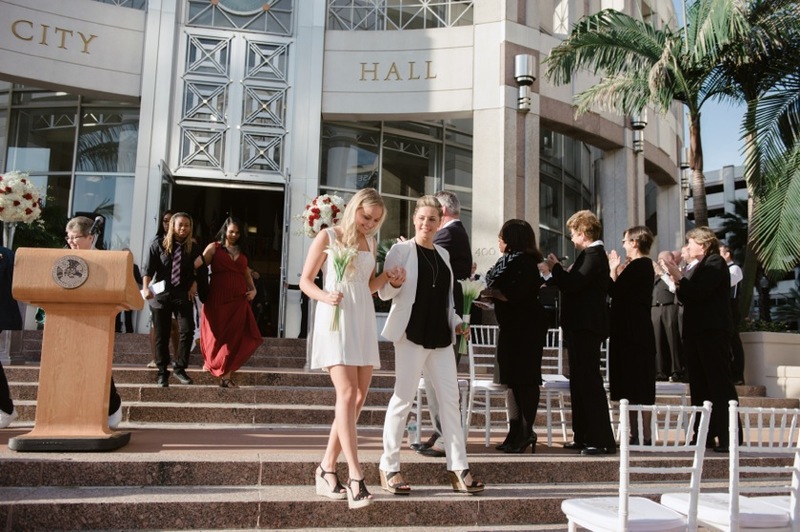 “To marry in the state where we met, where we fell in love, and where we call home and will be raising a family - that was special to us,” Malene said. 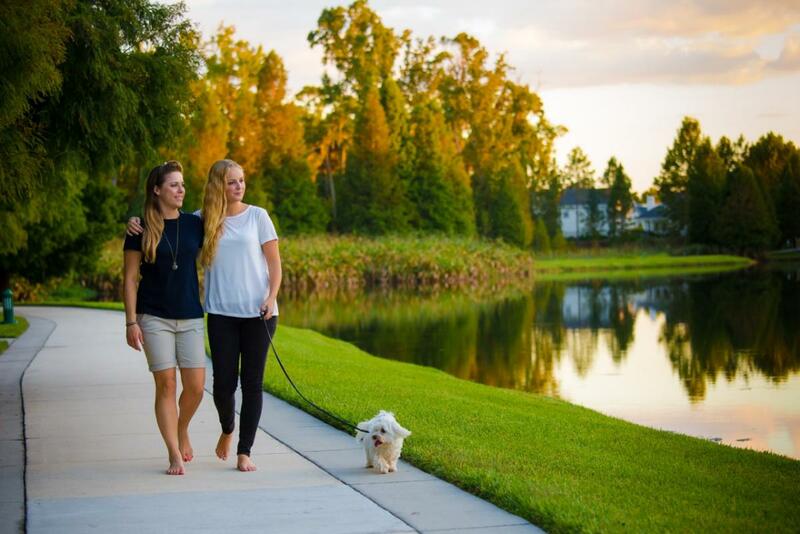 Malene and Carrie received an email from Metropolitan Business Association, the LGBT Chamber of Commerce in Orlando, inviting them to be a part of a special ceremony on Jan. 6, officiated by Orlando Mayor Dyer and they happily agreed. “We want to show our children one day that their Moms were a part of history!” Carrie said. They woke up at 2:30 a.m., stood in line in alongside many other couples and were beaming. “The entire day was such a whirlwind, but we were so happy to be a part of history,” Malene said. “I was so nervous! I still felt at that time like someone could take this away from us. But, I focused on the excitement and we met the other couples that were in the same line as us, and that kept us occupied,” remembered Carrie. Malene and Carrie still plan to have their ceremony on March 14, 2015, and are excited to start a family together. For right now, it’s just the two of them and their Maltese dog Loui. “The only man allowed in our bed,” Carrie joked. However, they plan to have children and anticipate starting the process by the end of the year. “A family together is something that we have wanted ever since we fell in love. We just have so much love to give and we can not wait to share that with our child,” Carrie said. Now that their marriage legally recognized, Malene and Carrie will never have to be apart again and their budding family will share the same last name. Their marriage ensures that Malene can live in the U.S, they will be financially protected and they will be able to enjoy health care benefits and protections. “We can't stop calling each other ‘wife’ and slipping the words, ‘my wife’ into every conversation where possible!” Malene said.